Want to WOW your friends? 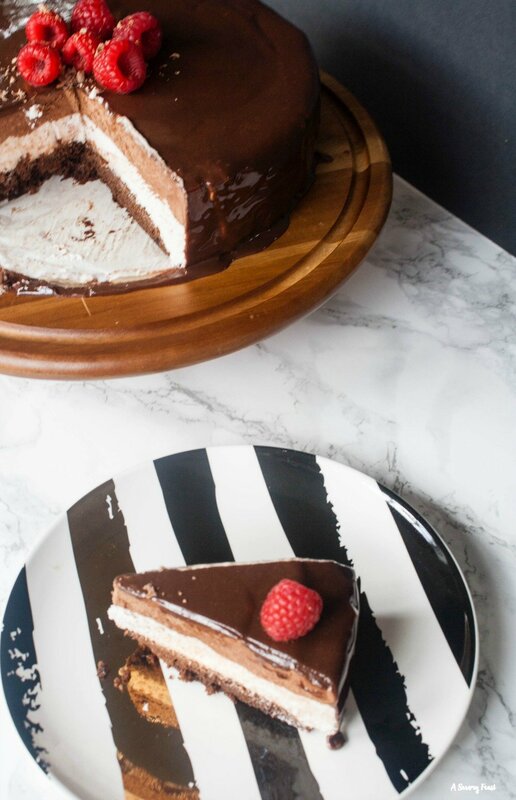 Make this Raspberry Chocolate Mousse Cake with Mirror Glaze! 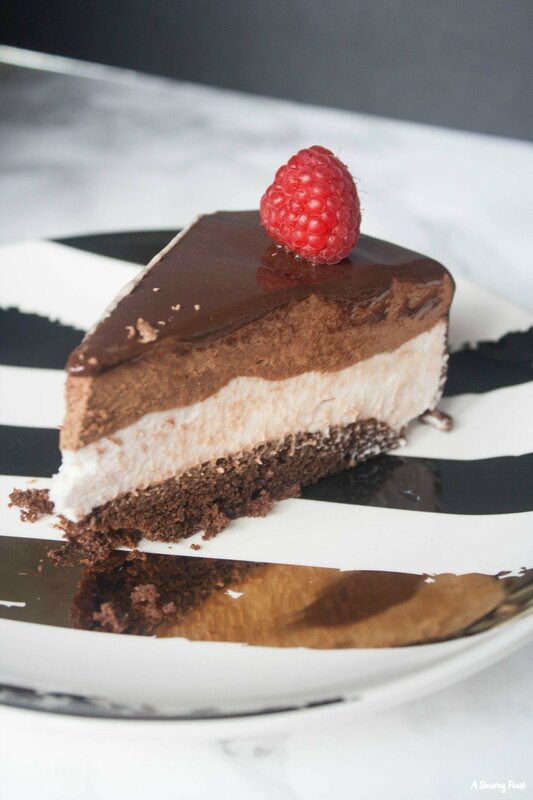 This triple layered cake starts with a from-scratch chocolate cake, followed by a fresh raspberry mousse and a chocolate mousse. Then the entire cake is covered with a gorgeous mirror glaze. This post contains affiliate links. If you make a purchase through these links, you will be supporting A Savory Feast at no extra cost to you. It probably doesn’t surprise you, but I am addicted to watching cooking and baking shows on TV! I’ve found a few that I love on Netflix. 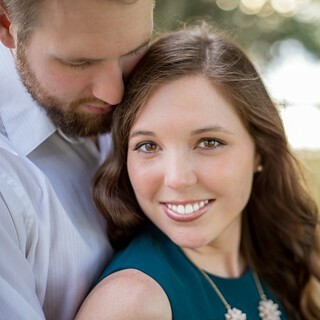 Not only are these shows entertaining, but they are a great way to get inspiration for my blog and learn about new techniques to try. One technique that I always find so mesmerizing is a mirror glaze. I’ve been dying to try it myself! Making this cake is a bit of an undertaking, but don’t let that scare you away! The end result is totally worth the effort. Be sure to give yourself plenty of time to let the cake set in the refrigerator in between layers and once it’s all assembled. Let’s talk about the layers of this beauty! The first layer is a homemade, from-scratch chocolate cake. It’s adapted from my Strawberry Chocolate Ganache Layer Cake. 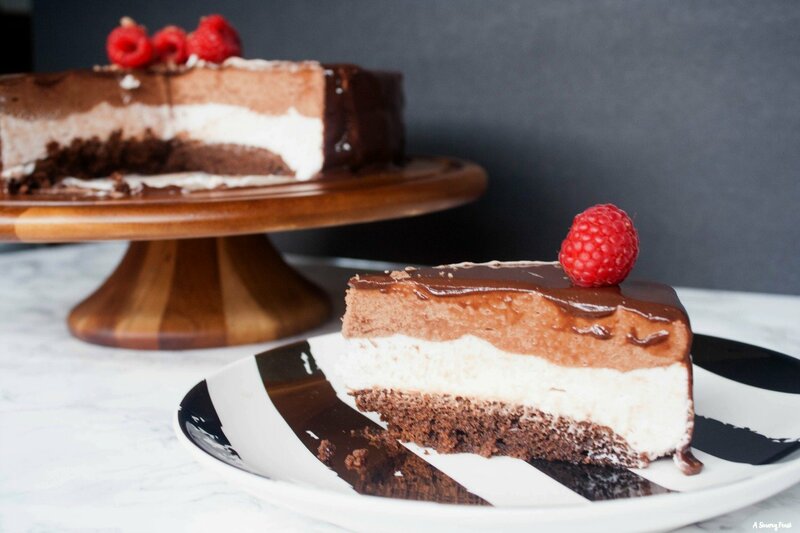 This cake is light and fluffy and has a rich, chocolate taste. 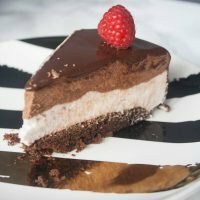 The second layer is a raspberry mousse that is made with fresh raspberries. It’s creamy and just a little bit tart. This layer adds just the right amount of contrast to balance out all of the chocolate in this cake. The third layer is a chocolate mousse. Sweet, creamy, rich and chocolatey! If you’ve never made homemade mousse before, don’t worry! It’s actually quite simple to make, but it looks (and tastes!) so impressive once it’s done. On top of those three delicious layers is a stunning mirror glaze. I may have created a monster by learning how to make mirror glaze. Now I want to mirror glaze everything! It is so much fun to pour it over the cake and watch it drizzle down the sides. Preheat oven to 350 F. Grease and flour or use cooking spray on a 9" round baking pan. In the bowl of your stand mixer, combine the sugar, flour, cocoa powder, baking powder, baking soda and salt. Make a well in the middle of the dry ingredient mixture and add in the egg, milk, vegetable oil and vanilla extract. Beat for 2 minutes on medium speed, then stir in the boiling water. Pour the mixture into the baking pan. Bake for 10-15 minutes or until a toothpick comes out clean. 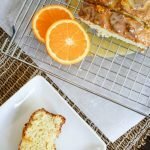 Let the cake cool in the pan for 10 minutes, then flip it out onto a wire rack to cool completely before moving on to the next layer. Prepare your pan before beginning this layer. You will need a 9 or 9 1/2 inch round pan with sides at least 2 1/2 inches tall and the ability to remove the bottom. Either a springform pan or cake pan with removable bottom will work. Line the inner wall of the pan with a 4-inch high strip of wax paper or foil or acetate cake collar. Make sure the strip overlaps. Place a cake cardboard in the bottom of the pan. Place the chocolate cake layer on top of the cardboard. Blend the raspberries in your blender to create a puree. Pour them through a fine mesh strainer to remove the seeds. In a double boiler combine the raspberry puree, white chocolate chips and 1/2 cup of the heavy cream. Stir over medium heat until the chocolate is melted. Pour into a large bowl and let cool to room temperature, stirring occasionally. While you wait for the raspberry chocolate mixture to cool, whisk together the powdered gelatin and cold water in a small bowl. Let sit until the raspberry chocolate mixture is at room temperature, then microwave the bowl of gelatin for 15 seconds, until melted. Whisk the gelatin and chocolate together. Place the remaining 1 cup heavy cream in the bowl of your stand mixer and whip until firm peaks form. Fold half of the whipped cream into the raspberry chocolate mixture until combined. Then fold in the remaining whipped cream. Spread the raspberry mousse over the cake layer. Refrigerate for 25 minutes or until the mousse layer is set enough to add another layer. In a double boiler combine the dark chocolate chips and 1/2 cup of the heavy cream. Stir over medium heat until the chocolate is melted. Pour into a large bowl and let cool to room temperature, stirring occasionally. While you wait for the chocolate mixture to cool, whisk together the powdered gelatin and cold water in a small bowl. Let sit until the chocolate mixture is at room temperature, then microwave the bowl of gelatin for 15 seconds, until melted. Whisk the gelatin and chocolate together. Place the remaining 1 cup heavy cream in the bowl of your stand mixer and whip until firm peaks form. Fold half of the whipped cream into the chocolate mixture until combined. Then fold in the remaining whipped cream. 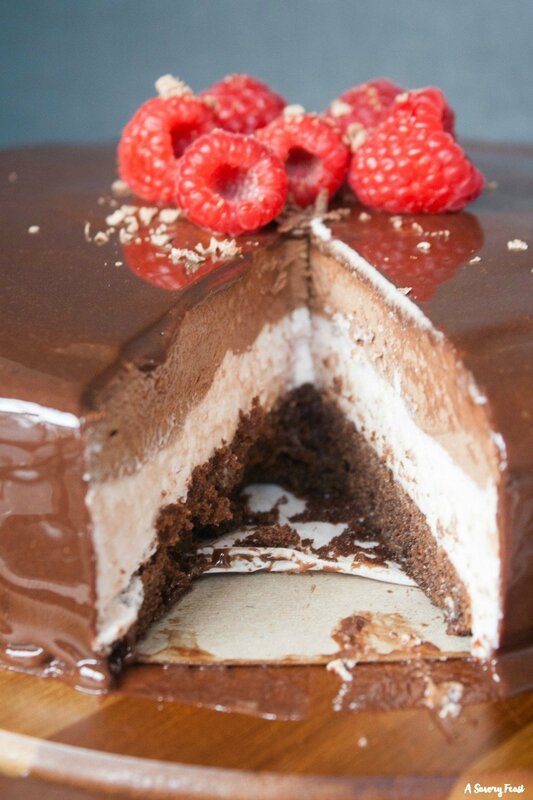 Take the cake pan with the raspberry mousse layer out of the refrigerator and spread the chocolate mousse layer on. Try to get the top as smooth as possible. Refrigerate for at least 4 hours or overnight so that the mousse is well set. Before you start working on your mirror glaze, move your cake to the freezer to be sure it is really cold when you put on the glaze. Whisk together the cold water and powdered gelatin in a small bowl, set aside. Place the dark chocolate chips in a medium sized glass or metal bowl and set aside. Place sweetened condensed milk, water, sugar and cocoa powder in a saucepan. Bring to a boil and remove from the heat. Stir in the gelatin mixture until it is dissolved. Pour the hot cocoa and gelatin mixture over the dark chocolate chips. Let sit, stirring occasionally until the chocolate is melted or about 5 minutes. Use an immersion blender to blend until smooth. Pour the glaze through a sieve to remove any lumps. Let cool for a few minutes until just above room temperature. While you wait for the glaze to cool, line a baking sheet with parchment paper and place a bowl that is smaller than your cake pan on it. Take the cake out of the freezer and place it on the bowl. Use a hair dryer to slightly defrost the sides so that you can remove sides of the pan. Remove the bottom of the pan (leaving the cake cardboard under the cake) and then place the cake back on the bowl. Remove the strip from around the cake. Pour the glaze over the cake. Use a spatula to remove the drips around the bottom. Transfer the cake to a cake stand and put in the refrigerator for at least 30 minutes to set the glaze. Before serving, decorate with fresh raspberries and chocolate shavings if desired. The chocolate cake is adapted from my Strawberry Chocolate Ganache Layer Cake. Love the raspberry/chocolate combo. 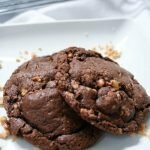 Thanks for the awesome pictures and recipe! I love raspberry and chocolate together, too! Thanks for sharing! I’ve been wanting to make a chocolate mousse cake for my Dad for the longest time. Guess i came to the right site! 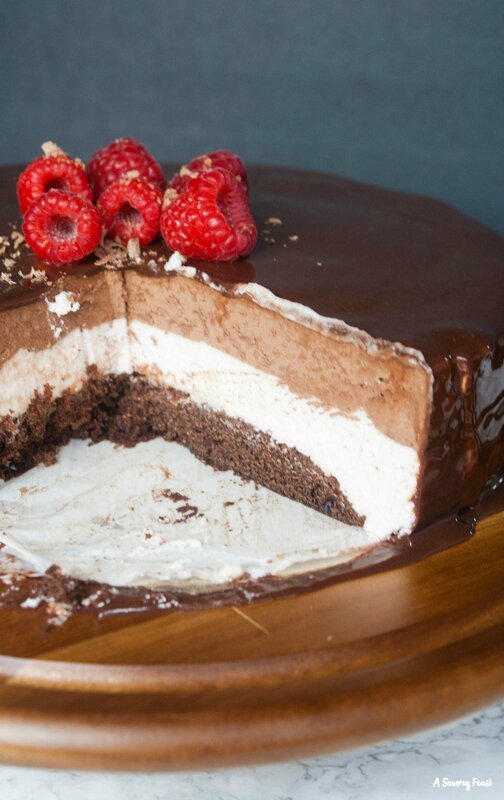 I hope you and your dad like this mousse cake! 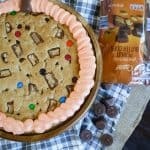 Quick question about the recipe – for the chocolate layer, there is no milk or vanilla extract listed in the ingredients, but it is in the instructions. How much milk am I supposed to add to the batter? I’m sorry about that! 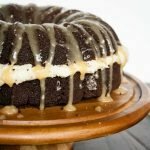 I am not sure why it wasn’t showing up, but I just updated it to add the milk and vanilla to the ingredient list for the cake layer. It’s 1 cup of milk and 2 teaspoons of vanilla.